International middle school 7th grade students, Georgia B. and Katie F. excitedly explained a recent math project where students were given "Barbie dolls" and rubber bands, and had to calculate how many rubber bands it would take (to string together like a bungee cord) so the dolls could "safely" bungee jump from the top of a flight of stairs. 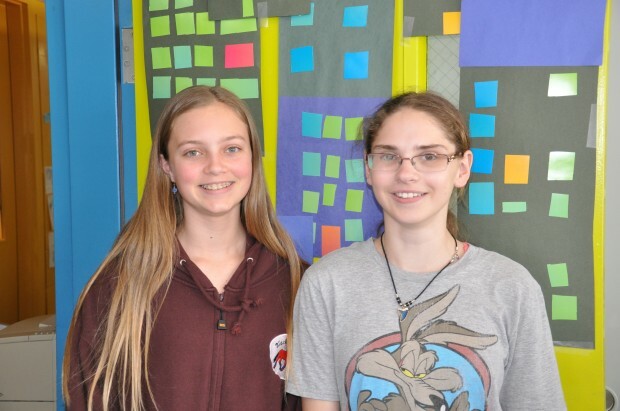 Their math teacher, Valerie Publicover, said, "the project used students' knowledge of linear equations to predict an outcome for a real-life situation. 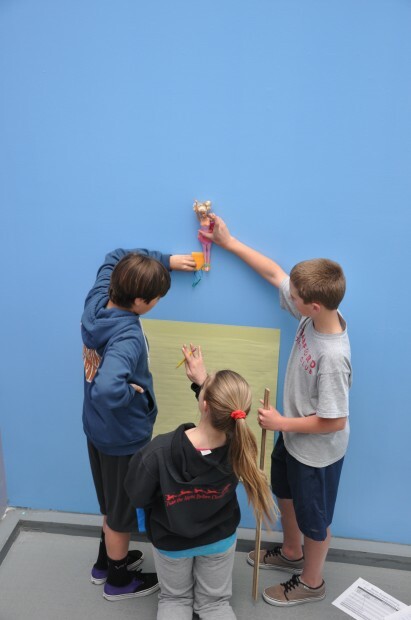 Using experimental data, the students determined the relationship between fall distance and the number of rubber bands used to make the bungee cord. The students graphed the data and found a linear equation that models the data. The equation was used to predict the number of rubber bands needed for a safe, but thrilling jump from a height of 400 cm. 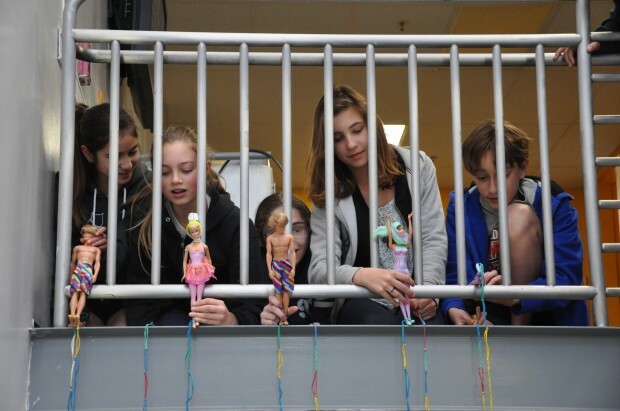 Finally, the students tested their predictions by having 'Barbie' and 'Ken' bungee jump off of the stairwell." "We collected data by using a giant post-it note and marked where the Barbie fell by using one rubber band," Katie continued. "Then we'd let her fall three more times and mark where she fell each time, taking the average of the three." Georgia smiled widely when talking about the project, saying that, "it was so active. I'm more prepared for the test because I remember things better when I know exactly how to do them. It's more fun to learn something in a group and easier to remember it working together instead of your own." The girls said there was healthy competition amongst their classmates. "The goal was for Barbie not to hit the ground, and we wanted to make sure we were the closest to the ground without hitting it. We took videos of it and it's a little bit of a competition. We watched it in class to see who was the closest. It was a lot of fun," Georgia said. Katie added, "we learned that 34 rubber bands was not a good choice! They almost always were a millimeter off the ground!"